As a trusted Seaside cosmetic dentist, Dr. Scott Santos understands that a lifetime of wear can cause even the healthiest of smiles to lose a little of their luster. Tooth staining foods and drinks like red wine, coffee, tomatoes and berries can rob a smile of its brightness, while cracked, chipped and broken teeth can cause an uneven looking smile that can result in a patient losing confidence in his or her appearance. 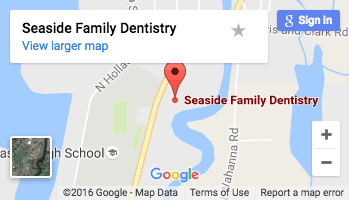 At Seaside Family Dentistry, Dr. Santos offers a comprehensive range of cosmetic dental procedures designed to help restore your smile back to health. 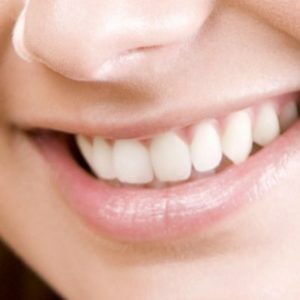 Whether you want to undergo teeth whitening treatments or need a bridge, implants or dental bonding, Dr. Santos, your dentist in Seaside, will provide the service you desire and the care you deserve. Teeth whitening has quickly become the most common and popular cosmetic dental procedure available in dental offices today. One look at the dramatic difference just one whitening treatment can make to a patient’s smile and it’s easy to understand why. At Seaside Family Dentistry, Dr. Santos offers patients KöR whitening treatments, which are widely considered the most effective whitening treatments available today. The KöR system uses highly effective and completely safe whitening gels to eliminate stains from the surface of tooth enamel. The KöR system is so effective that patients can notice a difference in the complexion of their teeth after just one treatment. Teeth whitening is only available to patients who enjoy quality oral health. Consult with Dr. Santos to determine if the KöR whitening treatments system is right for you. Dental tooth bonding uses a resin that can be applied to either the front or back of a patient’s teeth to repair decayed teeth, straighten crooked teeth, eliminate minor gaps, or lighten stains that cannot be removed using conventional teeth whitening treatment. After a patient’s tooth has been prepped, a bonding resin is applied to the surface of the tooth. The tooth is then treated to change the shape and color to improve its appearance and function. Finally, the resin is treated with a high-intensity curing light and the surface of the tooth is polished. Dental tooth bonding can last anywhere from three to five years before any repairs become necessary. At Seaside Family Dentistry, tooth bonding treatments can often be completed in as little as one visit, and offers a great and lasting way to improve the appearance of your smile. Dental veneers, also commonly referred to as porcelain veneers, are incredibly thin and durable custom-crafted shells of tooth-colored materials designed to improve the appearance of a patient’s smile by covering the front surface of damaged or decaying teeth. Dental veneers are bonded directly to the front surface of a patient’s teeth, altering their length, shape, size and color. Dental veneers are constructed using a variety of materials, including porcelain or resin composite. The type of material used in the construction of a patient’s veneers offer different benefits. While porcelain veneers offer better stain resistance, resin veneers better mimic the appearance of natural teeth. Resin veneers are also thinner and require the removal of less surface of existing teeth before placement. A consultation with Dr. Santos will help you better understand which type of dental veneer is right for you.